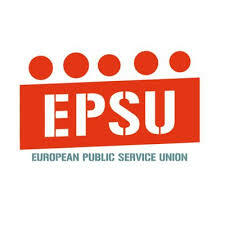 With only few months to go until the European elections Commission President Juncker’s state of the union speech on 12 September brought neither the commitment to social justice nor the action to address inequalities and poverty that many are looking for. The only reference to a social Europe came when he stated he would like to see the Pillar of Social Rights become part of EU law. But his Commission did not propose the required legislation when it could. It was his Commission that took the unprecedented step to interfere in the European social dialogue by rejecting a social partner agreement in central government administrations to the Council for a decision. This denies nearly 10 million workers information and consultation rights in EU legislation. His speech also lacked any support for collective bargaining and workers’ rights and there was no hint of the need for a Social Agenda. This is a very poor way to end his mandate. The Commission President was much stronger in his defence of the EU as the basis for long years of peace, stability and democracy. We agree that the forces of nationalism and xenophobia threaten this and that European values are worth upholding. This must apply to European migration policy. Solidarity with those Member States that receive the overall majority of refugees is required and legal channels must be improved for people to enter the EU. Strengthening European Border guards to keep people out of the EU should not be the focus. It is the under-resourced and under-staffed reception centres and asylum services where action is needed. Also lacking was any proposal to increase support for labour market policies that would stimulate integration of migrants in the labour market. Other issues, like the focus on an EU-Africa Free trade agreement, will have to be carefully considered. On the face of it, such an agreement would be blatantly in favour of the EU corporations and leave people in Africa in a worse position. It could further lead to liberalisation of public services rather than help to strengthen them. We are preparing our pressure for the discussions in the plenary of the European Parliament after amendments supported by right2water were defeated by a rightwing majority in the Committee dealing with the Drinking Water Directive. We will count on you to work with MEPs in your country to convince them to vote for the proposals we supported and which would give real effect to the demands of the European Citizens’ Initiative. In the last months before it closes shop to prepare for the elections in May, the European Parliament has many dossiers to vote on. It is important we step our lobbying activity, so that MEPs can demonstrate that they work for the interest of workers, our families and our communities. PreviousPrevious post:Moscovici: Eurozone needs a budget to counter populism’s ascentNextNext post:Save the date : Nantes : 2 octobre 2018 !